May 2, 2018 10:07 am. 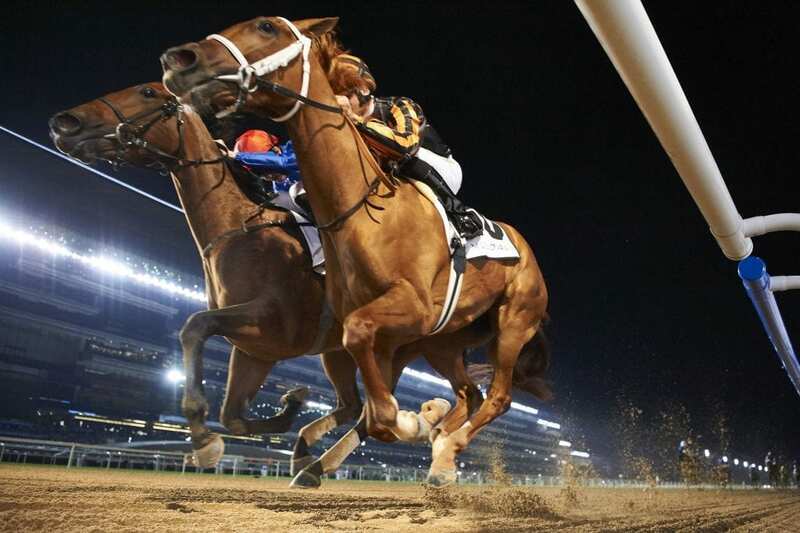 Winter Lightning (IRE) and Rayya (USA) almost nose to nose close to the finish at the UAE 1000 Guineas Triall. UAE Oaks sponsored by Al Naboodah Construction Group (Group 2) winner Rayya will make her first start outside of Dubai on Friday in the US $1 million Longines Kentucky Oaks (Group 1) at Churchill Downs in Louisville, Kentucky, USA. Considered the top Thoroughbred 3-year-old based in Dubai this winter, she won two of her four races, including the aforementioned 1900m Oaks and a 1400m maiden event on the 7th of December. In a bit of a homecoming, she returns to her state of birth and takes on the best 3-year-old dirt fillies in the world in said 1800m event. Now trained by American Bob Baffert, who took over duties from UAE-based Doug Watson, Rayya was last seen running a game second, albeit far behind Irish invader Mendelssohn, in the UAE Derby sponsored by the Saeed & Mohammed Al Naboodah Group (Group 2). In that effort, she finished ahead of stakes winners Reride, Gold Town, Seahenge and Yulong Warrior. Owned by Sheikh Rashid bin Humaid Al Nuaimi, the chestnut filly has been training the last few weeks at Santa Anita Park in Arcadia, California – just outside Los Angeles – for her three-time Dubai World Cup-winning conditioner. She has posted two breezes, including a pairing with 2017 Kentucky Oaks winner Abel Tasman on the 21st of April, going 1200m in 1:12.80 from the gate. She returned to breeze an easy five furlongs in 1:01.80 on the 28th of April. “I just wanted to see how solid she was because you never know how suspect the fields were behind her in Dubai. I knew Reride was a nice horse, but she held her own (with Abel Tasman),” Baffert explained. “I think she’s very talented and very courageous and competitive,” he continued. Rayya breaks from post seven of 14 fillies and will face a plethora of talented foes, including Grade 1 winners Midnight Bisou and Monomoy Girl, who won their respective preps in dominant fashion.